Admission is $5 and Tickets will be available at the door. Also, tickets can be purchased in advance at the Phelps Library or by calling 315-548-3120. Over 50 Makers/Vendors will offer hands-on learning & engaging STEM-related information, technologies, or projects for all ages. Please join us for a day of creativity, innovation, and fun! Over 50 Makers will offer hands-on learning & engaging STEM-related information, technologies, & projects for all ages. Learn about video game design, solder electronics, create a felted animal, build a robot, try glass flameworking, & so much more... This is a family friendly event! 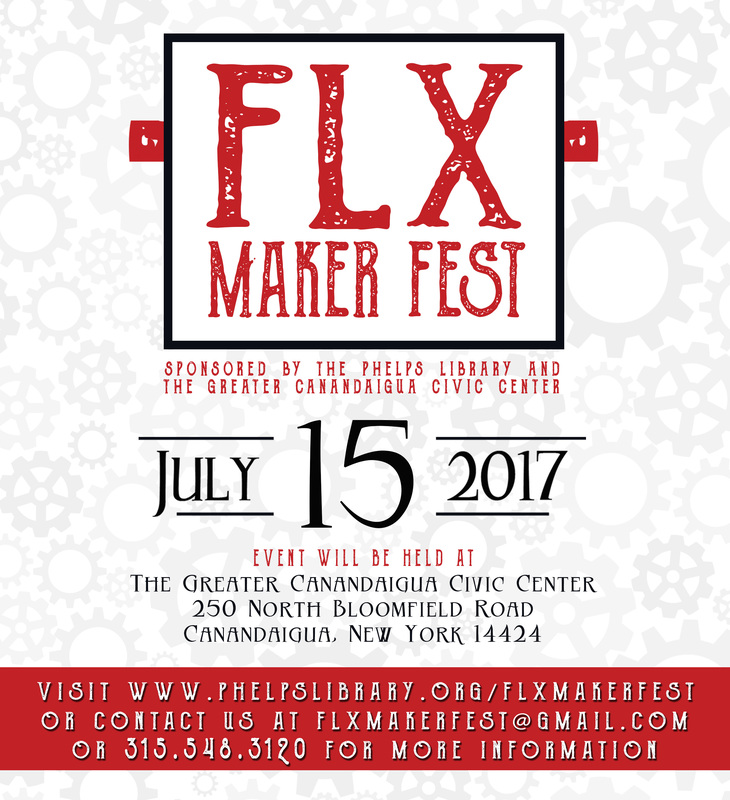 Makers include Rochester Makerspace, RIT, Arc + Flame of Rochester, 3D technologies with e-NABLE, Barnes & Noble, LL Bean, Rosie's Robots, Seneca Waterways Mobile STEM Trailer, Spotted Rabbit Studio, numerous local libraries, Springwater Woods, and many more! Learn how to solder electronics! Try glass flameworking or build a robot! Use a 3D Printer or Laser Engraver to create a souvenir to take home! Try circuit bending or bookmaking! Learn needlefelting, animal tracking, woodburning, or video game design, and so much more! Any questions? Please contact Leah Hamilton, Library Director, at 315.548.3120, or email .